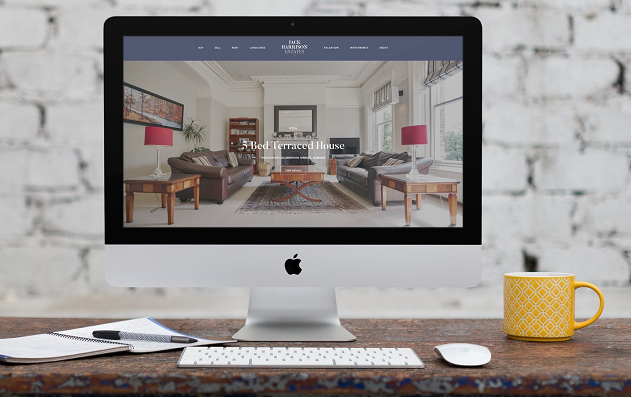 We recently launched a new website for a new client and, in fact, completely new business, Jack Harrison Estates. Jack Harrison Estates are a North East estate agency business with an obvious passion for the local area. Based in High Heaton, they have a great knowledge of the popular suburbs surrounding Newcastle and are using their skills to promote this area, particularly East of Newcastle, which has been rising in popularity in recent years. Although the business is new, Jack and his team have a wealth of experience of living, working and selling property in and around Heaton. We worked with our sister company Projector Brand Communications, as they created and defined a strong brand for the new business. Then we took their guidelines and created some new content. We designed a website to fit with the Jack Harrison ethos and promote the business online. Working with a professional photographer on the images was important to emphasise a premium feel with the website. We designed and built with a focus on large photography, while ensuring the site also promotes the business. We also featured the perks of the local area in a user-friendly way. If you’d like us to help set up your new business online please get in touch. We’d love to work with you.